When driving South on HWY 27, you can’t help but notice a beautiful entry to Legends Subdivision in Clermont FL that’s well manicured, inviting, surrounded by palm trees, well lit and in a perfect location whether your daily travels take you to downtown Orlando area, Kissimmee area where several Central FL Theme Parks are located or staying local in Clermont, Minneola and Groveland areas. You must be a resident to pass through the gates of Legends Subdivision where you will be greeted by a guard twenty four hours a day. If you are a visitor, be sure to have your government ID ready to register with the guard before heading onto the Golf Course or the on-site restaurant. 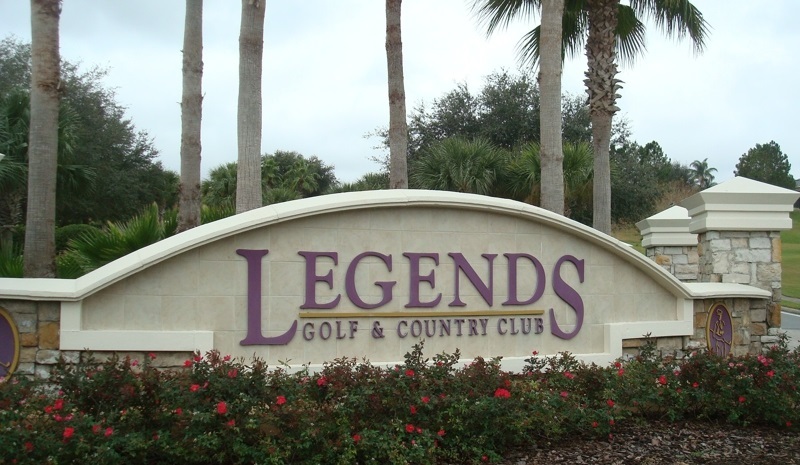 Legends Subdivision is a Golf Course Community in Clermont FL. A community that is 24hr Guard Gated, with community pool, fitness, tennis, basketball court, playground, on-site restaurant, golf course. Most of the homes were built by Lennar Homes and David Weekley Homes.There are also some Estate Homes which were built by Lawson Estate Homes. Homes were built between 2000 and 2014. Homes range between 1600 square feet to over 5000 square feet. Some have Golf Course Front lots. Based on the lots, there are homes with walk-down basements. Legends Subdivision in Clermont FL is conveniently located South of Highway 50, off of Highway 27, North of 192. Gated entrance for residents is on Hammock Point, there is a guard on duty 24/7 at the HWY 27 entrance. Traveling to Winter Garden and Orlando no longer requires taking Florida Turnpike, it is a straight drive on Hartwood Marsh. If you work in Orlando area, commute to downtown Orlando is about thirty miles most of which is highway. East Ridge High School, Windy Hill Middle School and Lost Lake Elementary. Legends is a Deed Restricted Community and require monthly HOA fees. There was a total of 54 MLS reported sales in 2016 with a price range of $229,000-$510,000. Out of 54 sales, 4 were REO/Bank Owned, all others were arms length/standard sales. Average days on market was 69 days, sold to list price ratio was 99%. As of July 20, 2017, there are 28 homes for sale with a price range of $259,900 to $684,000. Nine homes are under contract waiting to close with a price range of $240,000 to $399,700. Follow Homes for Sale in Legends Clermont in the Legends Subdivision. Home prices in Clermont are on the rise. If you’re a homeowner in the Legends Subdivision in Clermont FL, you might be surprised to see what your home is worth in today’s market. Find out what your home is worth by following this link. A FREE Market Analysis will show you what your home is worth based on most recent sales within the immediate area. 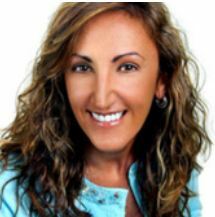 Whether you are buying or selling a home in Clermont FL, I would love to earn your trust to be your REALTOR®. Call or text me at 407-929-1852, email bethatalay@gmail.com or visit www.WhereToLiveInOrlando.com. « The Market Has Cooled Off, What Does This Mean for Buyers and Sellers?